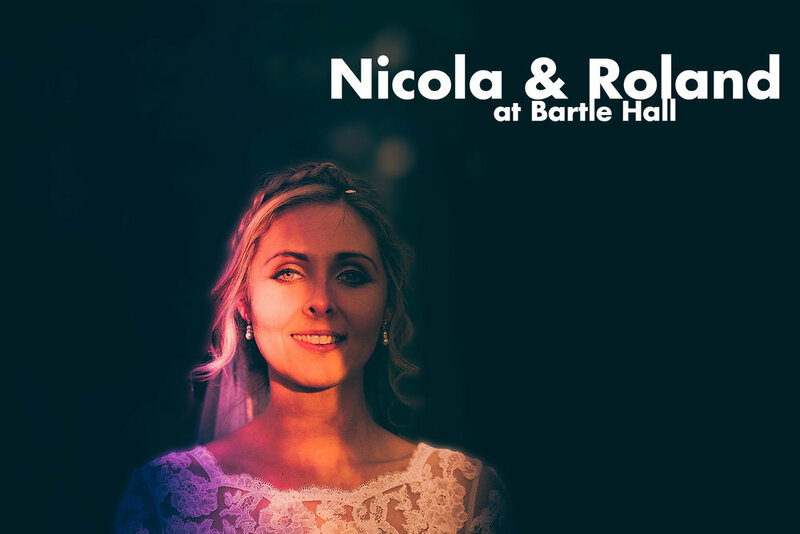 I had no idea what to expect on Nicola and Rolands wedding day at Bartle Hall. We'd never met, only ever caught up on email and if I'm honest I was a little excited with anticipation. You see, I kind of like to get a feel for my couples before the big day, so they know what to expect of me and also so that I can help them have the best days of their lives. So I arrived and within minutes I knew the day would be totally fab. Nicola told me that, although we'd never even spoken, she just wanted me to do my thing. They had scoured my blog and decided to let me shoot away ... right from before they had booked me ... and what a day it was! Bartle Hall in Preston is a great destination for a wedding anyway, but add into the mix two of the most down to earth and hilarious people you'll ever meet, 80 guests having a great time, an overall vibe which just screamed "enjoy", fabulous weather, a glorious golden moment of evening light and you end up with a fabulous wedding day!